Situated at the foot of British Camp, an Iron Age hill fort. Walk or cycle the entire range of The Malvern Hills. 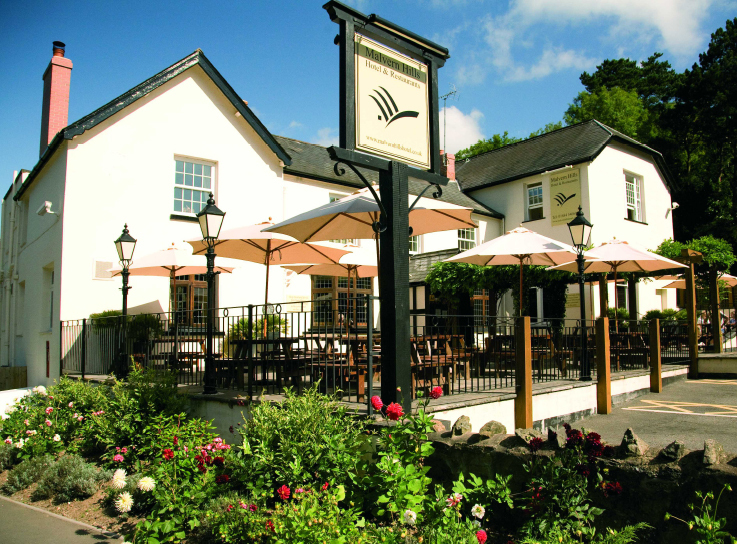 Malvern Hills Hotel with superb locally sourced food and an 18th-century oak lounge bar, this hotel is nestled in the spectacular surroundings of the Malvern Hills. The hotel is situated directly opposite the Iron Age hill fort, British Camp, a major landmark with a superb vista from the summit. It is also perfectly positioned for different walks and trails along the hills, or exploring the local area.